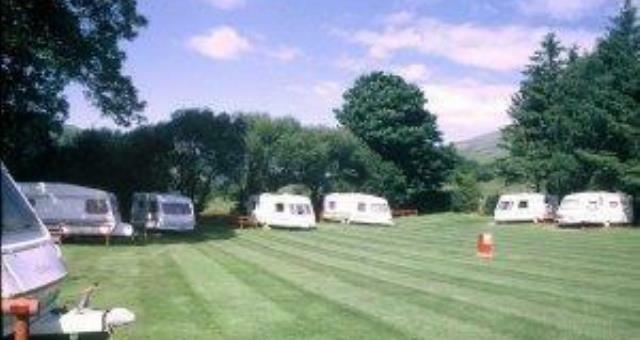 Tynllwyn Caravan and Camping Park01654 710370work Holiday, Touring & Camping ParkTynllwyn Caravan and Camping Park is situated in the picturesque Hamlet of Rhydyronen overlooking the beautiful Dysynni Valley. Only 2.5 miles from the seaside town of Tywyn, the area is a fisherman's delight with streams, rivers, lakes and sea fishing all close by. Talyllyn Narrow Gauge Railway runs alongside the park with a station only 50 yards down the lane. The area provides much to interest young families and individuals. Beautiful, unspoilt, natural countryside to relax in, or try pony trekking. A paradise for walking and birdwatching. Touring vans and campers are made very welcome. Facilities offered include a modern toilet block and electric hook-ups. There is also an On-Site Shop and Children's play area. 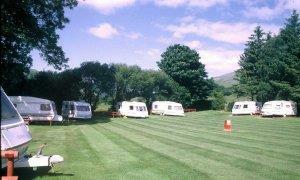 Tynllwyn Caravan and Camping Park is situated in the picturesque Hamlet of Rhydyronen overlooking the beautiful Dysynni Valley. Only 2.5 miles from the seaside town of Tywyn, the area is a fisherman's delight with streams, rivers, lakes and sea fishing all close by. Talyllyn Narrow Gauge Railway runs alongside the park with a station only 50 yards down the lane. All the above are per night and include VAT at 17.5%. We also have indoor and outdoor table tennis and a TV room. Children welcome from any age. Turn off A493 onto B4405. Turn up by grass island and carry on down the country lane. Childrens play area is well equipped. and well maintained. Showers have hand rails. The step into the toilet block is slight.